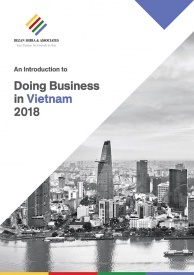 Vietnam’s Ministry of Planning and Investment and the International Finance Corporation (IFC), a sister organization of the World Bank recently released a report with recommendations focusing on FDI attraction strategy for 2020-2030, which is a major component of Vietnam’s 2021-2030 socio-economic development strategy. FDI in Vietnam has grown by a factor of 10 over the past decade. During that period, low labor costs and government incentives were the major driving factors for foreign investors and still continue to be so. As of June 2018, total registered FDI in Vietnam reached US$331.2 billion, while disbursement totaled US$180.7 billion. Manufacturing and processing accounted for 57.1 percent of the foreign investment at US$189 billion, followed by real estate at US$56.2 billion, accounting for 17 percent of the total. The FDI sector in Vietnam currently accounts for around 22 percent of the GDP and 70 percent of the exports. The sector has been responsible for almost 3.7 million direct and 5-6 million indirect jobs in Vietnam. The lack of skilled labor and low local supply chain integration are the two major challenges in the country. Due to this, the quality of investments in the country hasn’t improved in the last 10 years. 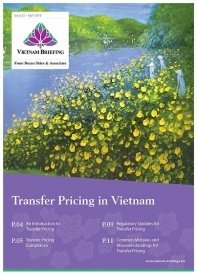 Low-cost labor and government incentives continue to remain the major determinants of FDI in Vietnam. However, as labor cost grows and government incentives and exemptions expire, the government must focus on increasing the quality of FDI to remain competitive. The government also needs to focus on supporting local firms in addition to foreign enterprises, if they want them to move up the value chains and benefit from FDI spillovers, which is still limited in Vietnam. Set up a new FDI management agency with more budget, capacity, and authority than the current one for effective implementation of the policies and strategies. The government also needs to focus on priority sectors such as high-tech manufacturing, logistics, high-tech farming, travel, healthcare, and education in the next decade, in addition to the key sectors such as textiles, footwear, metal processing, and minerals. Going forward, FDI will continue to be a major source of capital and drive exports in Vietnam. The government needs to focus on quality FDI and support domestic enterprises in moving up the value chain if it wants to retain its export competitiveness and achieve a sustainable growth. The recommendations put forth are a step in the right direction.